French 75 is a celebratory cocktail! French 75 is a classic cocktail made with gin, champagne and lemon juice. Instead of using lemons for the citrus, vibrant blood oranges complete this version. My baby girl turned 25 years old this past weekend! How is that even possible? I keep having images of her wearing Jelly shoes, sporting a Baby G watch and digging into Alan’s closet looking for skinny ties to mimic the fashionable (or not) Avril Levine! My vivacious Harry Potter book reading sweet pea is now a high school English teacher. Seriously, how can that be when she could pass for a teenager herself?! We blinked. That’s what happened. We blinked and she grew into a bright, responsible, down to earth beautiful woman with impeccable taste, I might add! Ashley mentioned a couple of months ago that she had a French 75 cocktail and loved the flavor. In my 50 years I have never tasted a French 75 cocktail. Sheesh, I need to start living it up! The drink was created back in the 1900’s at bar in Paris. The base of the cocktail is a fusion of gin, sugar and citrus. Lemon is used in the original recipe, but I took advantage of the beautiful blood oranges that we have in our stores and used that instead of lemon. Depending on how much of the gin mixture you use, this drink can be strong, which is where the 75 comes from. It’s in reference to the French 75 mm canon or artillery gun. But for real, today I find myself saying again “these are the best years!” Having an adult daughter is the best! I love celebrating each milestone whether it’s with a new cocktail, Fondue and Pavlova Cake or for the Last Dance and Late Night Snacks! Each year is a blessing and reason to celebrate! 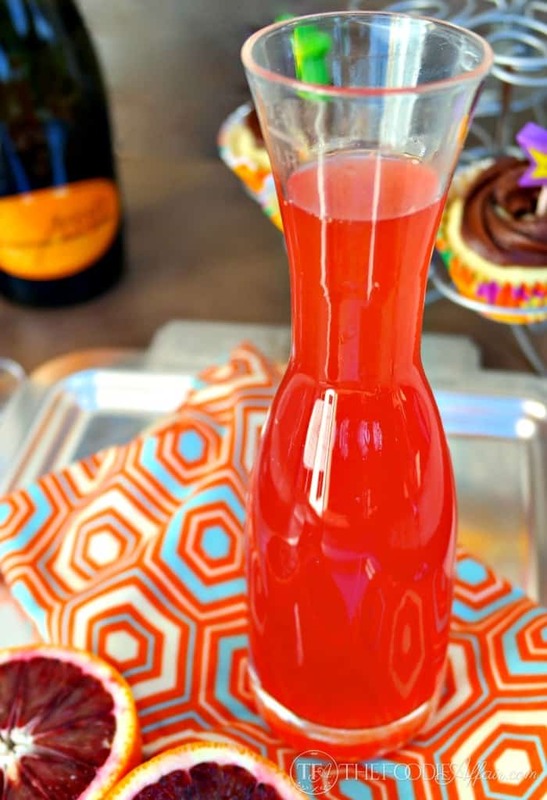 Blood Orange French 75 recipe is a great drink to serve for any celebration. This would be a beautiful signature drink to offer at a bridal shower or wedding. 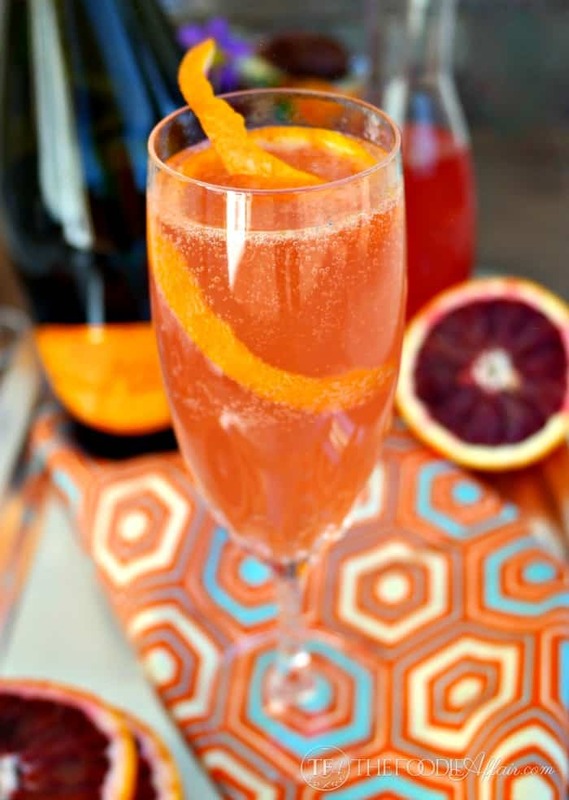 A twist on the classic French 75 cocktail using blood orange as the citrus instead of lemon. Peel and partition orange segments removing as much as the white pith as possible. Place in a medium size bowl and dice oranges. Crush with a meat tenderizer or potato masher releasing the juice from the oranges. 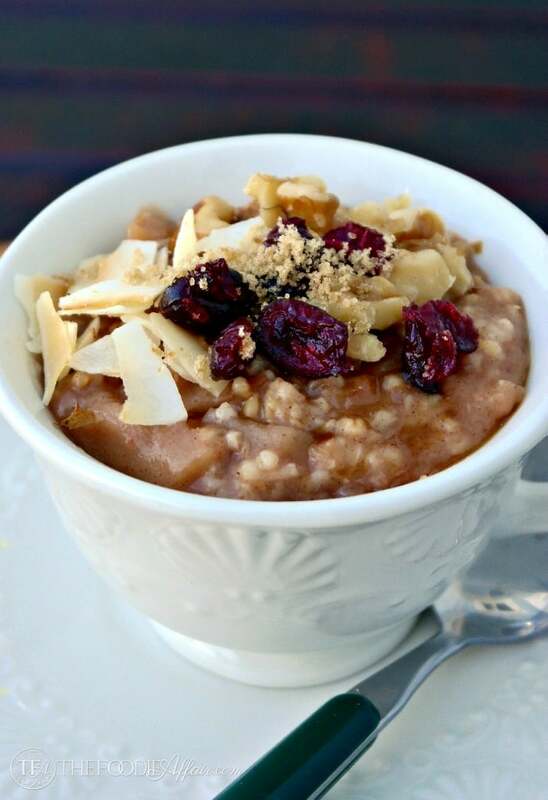 Strain the juice through a small colander into a clean small bowl. With a spoon press down on the skins of the oranges to expel as much as the juice as possible. Throw away the remaining flesh. Stir in gin, sugar and bitters into the juice. Strain again using a small sieve or cheese cloth into a 2 cup measuring cup. Chill for 4 hours. Pour 1-2 ounces of gin mixture into a champagne flute. 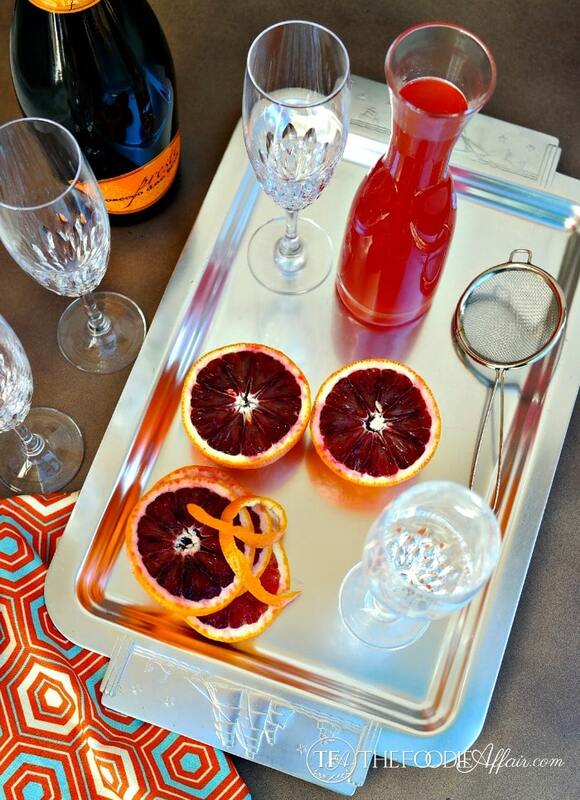 Fill with sparkling wine and garnish with an orange peel or segment. 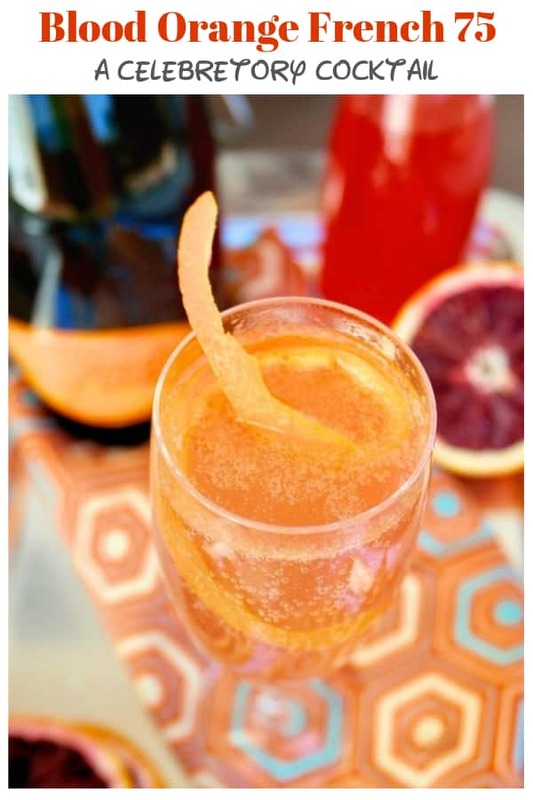 This is a Epicurious recipe, Blood Orange French 75. The color is bright and festive! This isn’t an overly sweet cocktail which is perfect for my taste and the gin mixture can be made a day ahead, so that it’s chilled and ready to be added to the sparkling wine! I really enjoyed your story about how this drink came to be and how your daughter has grown up as my daughter has. It’s still kind of weird hearing her cuss. She’s still my Lil girl. Anyways, I was wondering if using this blood orange with a sparkling water, flavored of course, would be a good substitute since I haven’t drank in many years. 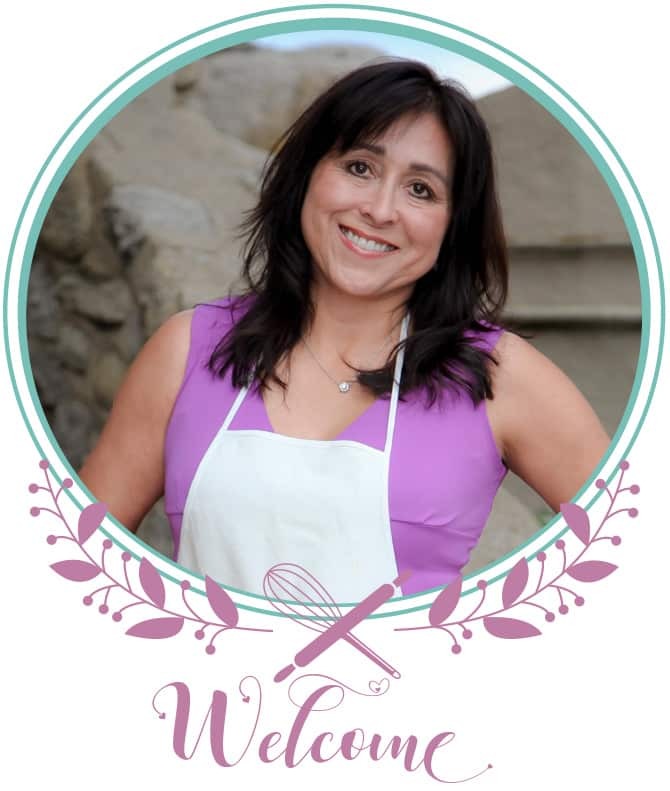 Thank you for all the great recipes and stories. Hi Vaughn! Thanks for the lovely comment! I actually made this again without the alcohol. I’ll probably put it into another recipe, but this is what you do. Make a simple syrup (1 1/2 cups water with 1 cup sugar (or sugar substitute) – warm until sugar dissolves and let cool. Then mix with orange juice as this recipe states, but don’t add any more sugar. I served with sparkling mineral water. So refreshing and tasty! I know, they grow too quickly right! My baby is 29 this year! This drink sounds and looks real fun, it is definitely a celebratory drink! Happy Birthday to your daughter! So lovely. Kids will always be kids in your eyes no matter how much they’ve grown! hehe. That’s what my dad always says to me! These blood orange drinks look amazing! And I love your food styling here! Those pretty napkins go well with it. 🙂 Happy birthday to Ashley! I still refer to my adult children as “my kids”. Yes, they do grow up fast and I agree with you every stage is the best stage. Happy Birthday to Ashley, and congratulations to Mom and Dad. happy birthday to your daughter. this seems like a fun drink! We enjoyed the company best, but definitely will celebrate with this again another time! I LOVE French 75 cocktails! I first discovered them when I made my own version for New Year’s Eve this year- love the history behind this drink. 🙂 And I love your version with the blood oranges- sounds delicious! Apparently I’m the only one that have never heard of this cocktail. Love it, so now I need to try the original version! 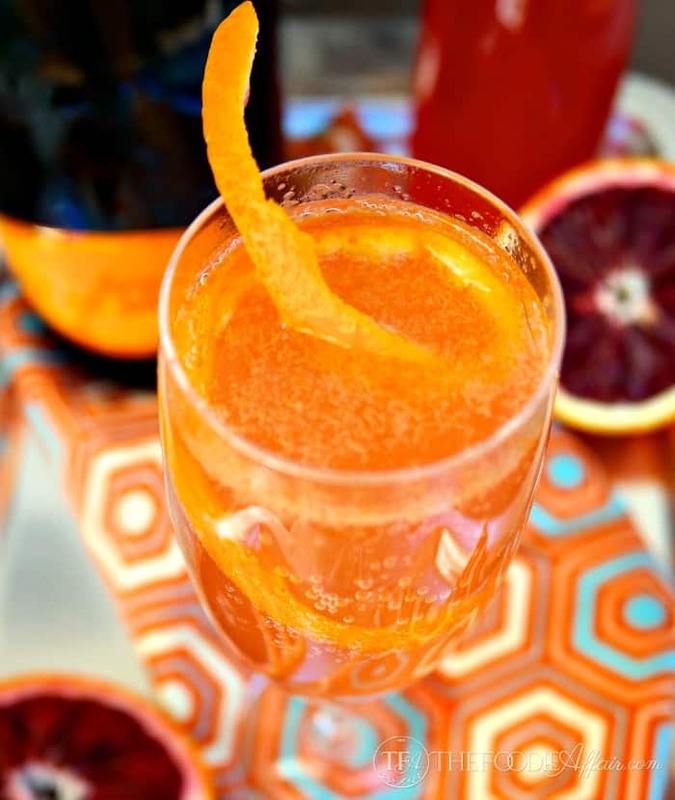 I LOVE blood oranges and love that this has champagne! Sounds like an amazing cocktail! It’s a tasty drink and extra fun with bubbly! What a beautiful and rather refreshing drink. Time really does go by so quickly. My oldest will be 23 this year and like you, I don’t know where the time has gone. What a wonderful celebratory drink you’re sharing today! I love your attitude. My daughter is 8 yrs old and I always say every year is the best year. I can’t imagine what she will be like at 25. I’ll have to make this cocktail and contemplate that! Happy birthday to your girl and this recipe is amazing. I love the Blood Orange component to this drink. Thanks, Rini! Not only is the fruit tasty, but the color is gorgeous! How pretty! I bet the flavor is fabulous! It’s a tasty combination, Jamie! That is a beautiful and festive drink! The blood orange is so vibrant! It really brightens up this drink! What a delicious looking drink, cheers! I can’t wait to try this drink out at the next girls night! Thank you for sharing it looks SOOO good! This is a great drink to share with the ladies! Hope you love it as much as we have! I love blood oranges, this sounds like a wonderful cocktail! Right now the blood oranges are so delicious. Such a nice compliment to this cocktail! I can vouch for this drink. It is Yummmmy. Indeed! So glad you were able to celebrate with us!! This is gorgeous Sandra and looks DELICIOUS! I bet it’s tasty!